Executive Chef at The Glasshouse Hotel, Sligo. As Mothers’ Day approaches, all our thoughts turn to our own mothers, particularly if they are no longer with us. 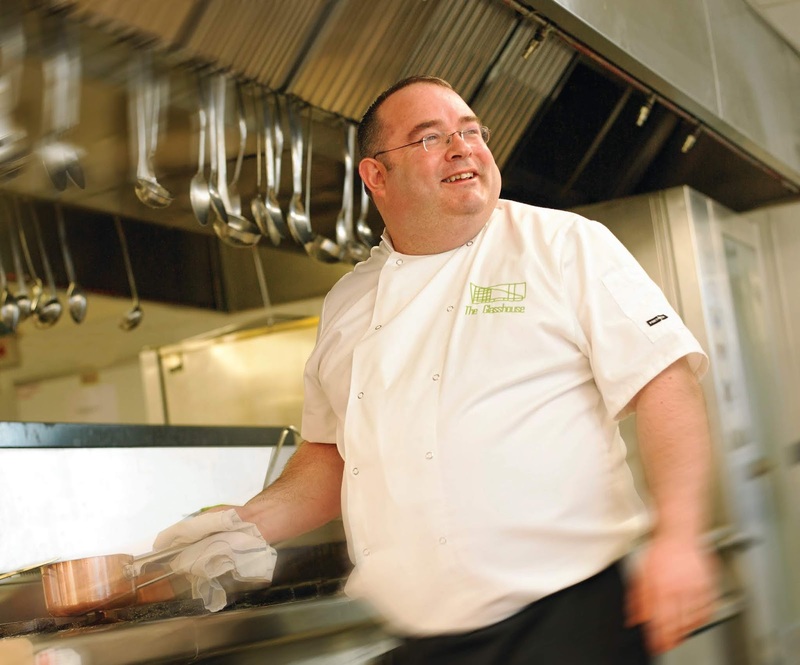 Alan Fitzmaurice is Executive Chef at The Glasshouse Sligo, a leading light on Sligo Food Trail, and possesses a trophy cabinet groaning under the weight of its contents – and he credits his mother Cora with the lot. “It all started with my Mother”, he reminisces, “She was a remarkable cook and an inspiration to me – she gave me an extraordinary early education in food and her influence has always stayed with me”. Born in Castlerea, Co. Roscommon, Alan was sixth in a family of seven and recalls a happy, country style childhood. It’s only in retrospect that he realises what an excellent and organised cook his mother was, effortlessly managing a teaching career and her brood of youngsters. His memories are of home baked bread, hearty puddings and casseroles slow cooked to perfection in the Aga, ready for hungry children after school. They fished and hunted with their Dad and learned to forage nature’s wild bounty as a matter of course. “My mother was an avid forager”, Alan recalls, “She taught us from a very early age what we could and couldn’t eat, how to gather it and of course how to preserve it. She would point at the beech trees outside her school and explain how you could eat the beech mast. She’d steer you clear of the ivy but show us edible flowers like primroses instead. Her particular favourite was foraging for crab apples; if she got wind of a tree heavy with fruit, she would bundle all seven of us kids into the Ford Cortina and travel the Roscommon byroads on the hunt. “She was adventurous and encouraged us to experiment”, Alan smiles, “I remember her letting me make apple and sugar sandwiches to bring to school!” Cora was adventurous in her own life as well and as young woman was part of a women’s group who headed of on a European tour which brought them by train through England, France and Austria before ending up in Rome. Preserving was a way of life in those days and jam jars were precious and jealously hoarded. “You’d have been excommunicated if you broke a jam jar”, smiles Alan. Jam jars were also used to protect strawberries from hungry slugs – though they had no effect on little boys tiptoeing outdoors ‘in their feet’ early in the morning in search of ripe berries. and the rest of the family on a foraging trip to the seaside. Cora was an enthusiastic driver and much speedier on the road than her more conservative husband. Alan recalls with a wry smile, being thrown clear out of the car one day as she was doing a U-turn in Castlerea and the passenger door swung open. She was a lifelong pioneer but that didn’t extend to the Christmas pudding which she dosed liberally with whiskey and served with brandy butter worthy of the name. Cora’s puddings were made before each Halloween – for Christmas of the following year! Alan remembers everyone who came into the house getting a turn at stirring the pudding mix; he suspects that was a clever way of getting help with a heavy job. Alan has fond memories of slow cooked stews, rich gravies and always, always a dessert to finish the meal. Stewed fruit, tarts and cakes all took their turn as well as ‘frogs’ eyes and glue’ better known as tapioca. She cooked the game his father shot, having first hung, plucked and gutted them. Their hanging place was the back kitchen and Alan recalls being clocked on the head by a swinging pheasant on more than one occasion as he rushed in the back door. His palate began developing at an early age with all this variety and experimentation. Certain moments are etched in his memory like going to Webb’s Butchers and tasting a wafer-thin slice from the outside of a hot smoked ham. Alan’s aunt ran a restaurant and from the age of about 13 Alan loved to help out – particularly with the chopping of vegetables or anything else within reach! Alan’s Dad died some years ago but Cora remained interested in life and everything that was going on. She went to Mass regularly (loving the social as well as the spiritual outlet), was on numerous committees and helped sponsor a San Salvadorian priest. She loved holidays, particularly going on the Paul Claffey tours to Spain. Her zest for life never left her and that is how Alan remembers his mother, Cora Fitzmaurice (nee Cassidy) on this Mothers’ Day and always.